I have more friends and associates than I can enumerate, and that’s a good thing. It would have been nice to win the Powerball Lottery (no, I don’t play), but I count my wealth in friends rather than gold. Naturally, these friends are all over the ideological spectrum: some are devout Christian evangelicals, some are devotees of other faiths, others equally dedicated humanists, deists, atheists, anti-theists, and everything in between – and I do my best to respect them all. And now it’s the Christmas season. I watch with interest as the Christmas season draws nearer, and the blogosphere and social media sites fill up with comments about what the holiday means, who should be celebrating it, and why, and when, and begin to cast aspersions on the common sense, parentage, IQ and chromosomal structure of those who think differently. It’s sad, really – because it’s an unwinnable argument; everyone gets to choose what the holiday means to them, and act accordingly. Take the video above: The points it makes are matters of historical record, and I found very little in the essay to argue with. But the creator’s conclusion – that because of the things mentioned in the video, he chooses not to celebrate Christmas – seems to have shot wide of the mark. C.S. Lewis posited that the historical Jesus was either God or fraud, with no room for the “great human teacher” argument. Personally I’m OK with that assessment, but I know that there are just about as many opinions about Yeshua of Nazareth as there are people. Whatever one may believe about the historical figure, a few things are consistent across most accounts. He was supremely kind to those who were different, in trouble, or down and out. He helped others wherever he could, fed the hungry, administered to the ill, comforted the sad, and encouraged the weak. Everything he did in the way of lifting the human condition, he encouraged others to do likewise. The estimable Mr. Lewis notwithstanding, that would be a life worth celebrating. It is true that over the last two millennia, more evil has been perpetrated in the name of faith; but in contrast, an equal if not greater amount of good has been done as well. The first gets the headlines and is widely pointed to by opponents of religion; the second is done quietly, in bedrooms, back streets, alleys, and out-of-the-way places, and rarely attracts the attention of a media dedicated to selling advertising. It reaches out to touch you when the holidays draw near. We live in a peculiar, complex, and often bizarre and frightening world – but like Scrooge, despite the challenges, I would “honor Christmas in my heart, and try to keep it all the year,” pushing back against the tide and celebrating goodness, and giving, and helping everyone to win. 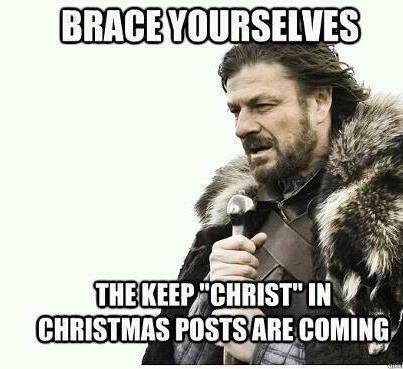 That’s how I want to keep Christ in Christmas. Others may disagree, but that’s their privilege. The Old Wolf has chosen. Don’t try to give a bouquet of these to your girlfriend. The Kadupul flower, or Epiphyllum oxypetalum, blooms rarely, only at night, and its blossoms wilt before dawn. Even if you live in it’s native habitat of Sri Lanka, you’re unlikely to see its delicate beauty. And, it doesn’t smell very nice, either. I still get mail addressed to my mother on occasion; she left this world last year at the age of 94. But she was getting ads like this regularly for about 15 years before she finally caught the bus, and as time went on (before we took over her financial affairs) she ordered lots of products, either on her own or at the insistence of skilled but sleazy telephone salesmen. As a result, she ended up on every sucker list out there. If you have older loved ones, please make sure they throw solicitations like this into the trash, even if they come from places as respectable as the Mayo Clinic – they’re not above drumming up business in the elder sector, and there are thousands of others who are looking for a chance to separate mentally-diminished but resource-wealthy seniors from their incomes, savings, and pensions. The letter above is pure crap. The company makes a glaring mention of the FDA and implies that said agency has endorsed their product. This is a load of hqiz: the actual FDA letter is here, and if you read it you’ll see that the agency is clearly saying that evidence for effectiveness of phosphatidylserene as a memory-enhancer is feeble at best, although the product is Generally Recognized as Safe (GRAS) based on the information provided to the FDA by the company involved, with the additional disclaimer that the FDA has not done its own research. They went on to say, “FDA continues to believe that the science provides very limited and preliminary evidence sufficient for qualified health claims about phosphatidylserine and reduced risk of these conditions.FDA continues to believe that the science provides very limited and preliminary evidence sufficient for qualified health claims about phosphatidylserine and reduced risk of these conditions“. Now don’t get me wrong; I’m a long-time proponent of optimal nutrition and there is a lot of science out there about vitamins, minerals, antioxidants, and other co-factors that do benefit health. What I object to is outlandish claims and weasel words from companies looking to make a quick buck from the unsuspecting and uneducated, and there are far too many of those out there. If you’re looking for things to help your loved ones, be sure to do your due diligence. Research as much as you can on the product involved, and make sure you’re not buying smoke and mirrors, which is what 90% of the stuff being marketed out there really is. Be very careful about clicking links in emails, even if they seem to come from a legitimate source. The credit card we have on file for your Comcast Internet service was declined when we attempted to bill you on 11/29/2012 for your most recent service fees. For this reason, your service could be suspended. This email arrived the day before my actual credit card was set to expire. While the message looks convincing to the untrained eye, it’s phonier than a 7-dollar bill. If you get an email like this, either call your supplier’s customer service number or go directly to their website. Never open attachments in an email unless you know exactly what they are, even if they appear to come from your dearest friend. There are countless scumbags out there, and they want your money and your information. Be safe, be careful, and watch out for your loved ones. Email from a legitimate source will never have alphabet soup as part of the email address. Look at that URL up there: account.comcast.net.1r9.is-into-cars.com. A web address for a legitimate concern will not have jumbles of letters or numbers, or extraneous words in it. This website had been taken down by the evening, but I’m guessing the douchebags got a few uneducated people to enter their information with the millions of emails they sent out. The URL led to a very realistic-looking website with a login request. As is my wont, I went there and entered scathing obscenities for my username and password. This is lousy English. “you will be charged immediately, as soon as payment is received” makes no sense. If your payment is received, there is no need to charge you. Lousy grammar, simpering flattery – standard hallmarks of a spam post. The user who made the comment? “how to make money online,hyip sites,search engine optimization,learn seo,download softwares and application for free,learn blogging tips and tricks“. But before I could even blow the comment out of the water, the web page at a spam link aggregator had already been deleted. Oddly enough, this one made it past WordPress’ spam filter, but into the trash it goes anyway. If you’re ever wandering down Leinster Gardens in Bayswater Road in London, take a careful look at Numbers 23 and 24. These houses are in fact just façades, built to disguise an exposed part of the Metropolitan underground railway that runs behind them. In the 1930s, a man famously sold hundreds of guests tickets to a black tie charity ball there – only for them to turn up and discover the houses were fakes. Edit: Since I wrote this little post, these building fronts have featured prominently in an episode of “Sherlock Holmes,” the wonderful new series staring Benedict Cumberbatch and Martin Freeman. I was delighted to see them written in to the plot. 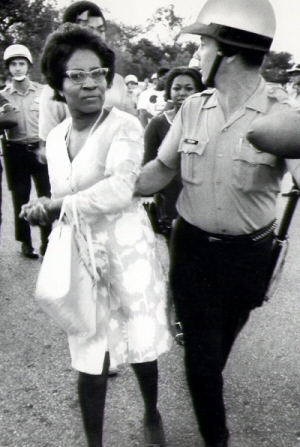 Clara Luper, an Oklahoma history teacher, ordered thirteen Cokes at Katz Drugstore in Oklahoma City on August 19, 1958 for herself and twelve children, ages 6 to 17. Lunch counters in Oklahoma, like much of the South, were segregated. This wasn’t just a request for drinks, but a request for civil rights. Waitresses ignored them. Other patrons did not: leaving the restaurant, pouring drinks on them, cursing at them. The group left after a few hours without their drinks. They returned the next day and were served their Cokes, and burgers, too.